Wow! That’s a beautiful catch. Like some people in our lives. Beautiful. Then gone too soon. That is true, sadly. Glad you enjoyed the image! Hummingbirds are so fascinating to watch. I like the black and white. In some way, without the distraction of color it seems to catch the essence of the shape and the look on the humming bird’s face, a strong presence. 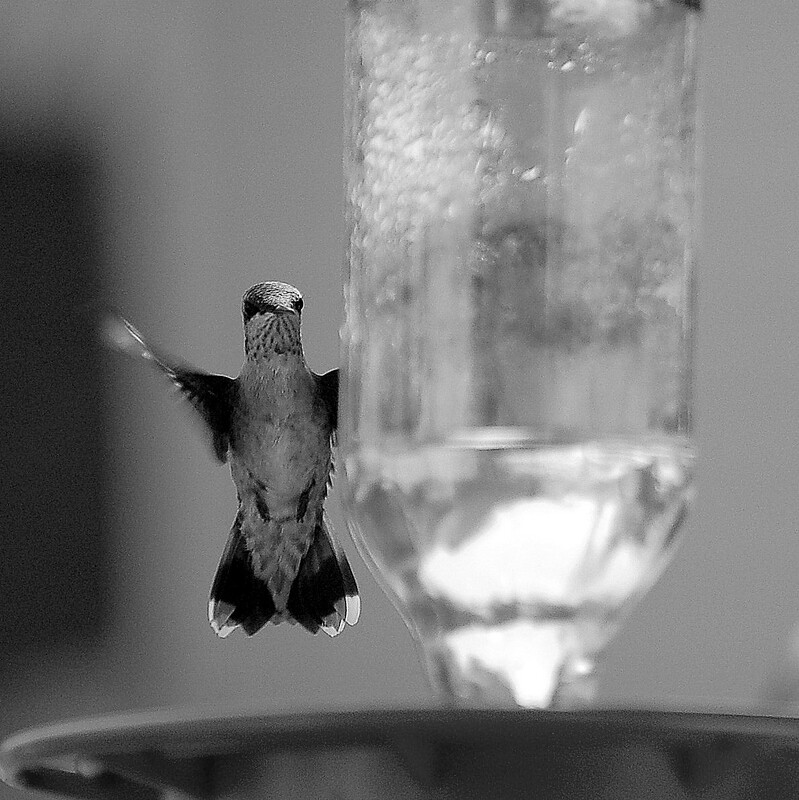 It is unusual for me to see a b&w photograph of a humming bird. Yes, in color, the hummingbird tends to blend more into the background. I’m glad you liked the black and white. I do too. They are fascinating to watch. Love this post… the photo is amazing and black and white really capture a different emotion to the print. Yes, it is interesting how black and white can change the feel. Thanks!